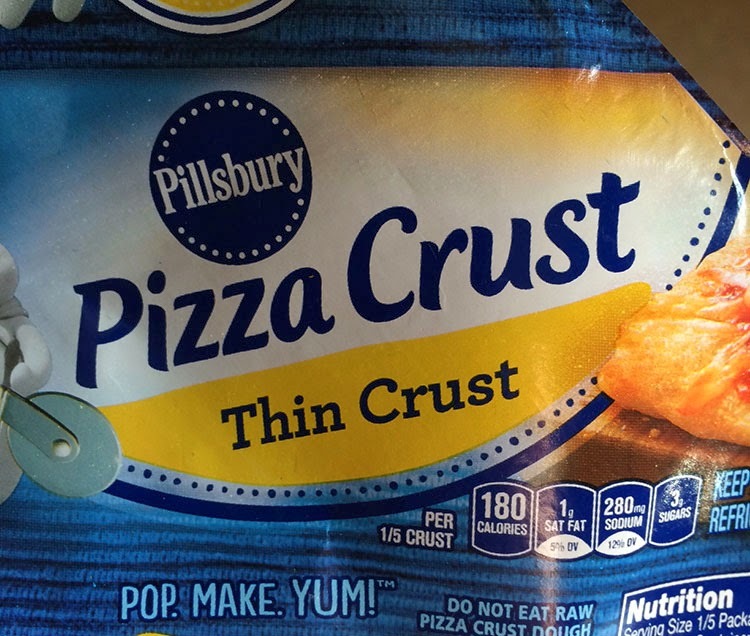 I've had this roll of Pillbury Thin Crust Pizza Crust in the back of my fridge for longer than I want to admit. 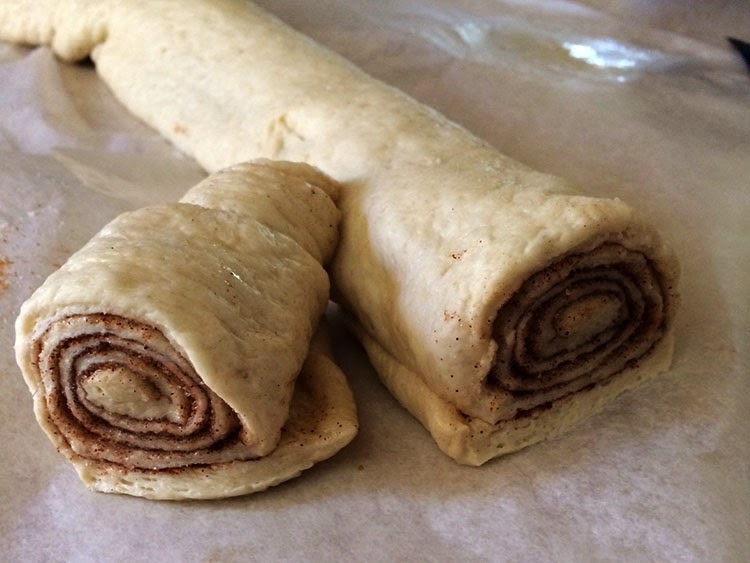 Since I finally realized we weren't going to use it for pizza, it hit me to experiment with it to make some cinnamon rolls. I rolled out the pizza crust onto some wax paper (for easy clean up) and then set about melting butter in the microwave (here comes the adventure part). Ten seconds into my 30 second cycle; I heard a POP and a FIZZLE, saw some crazy orange light bouncing around the microwave, and quick as a flash stopped the thing. It's now unplugged, cleaned off, and waiting to go to the dump. I was a little shaken to say the least. 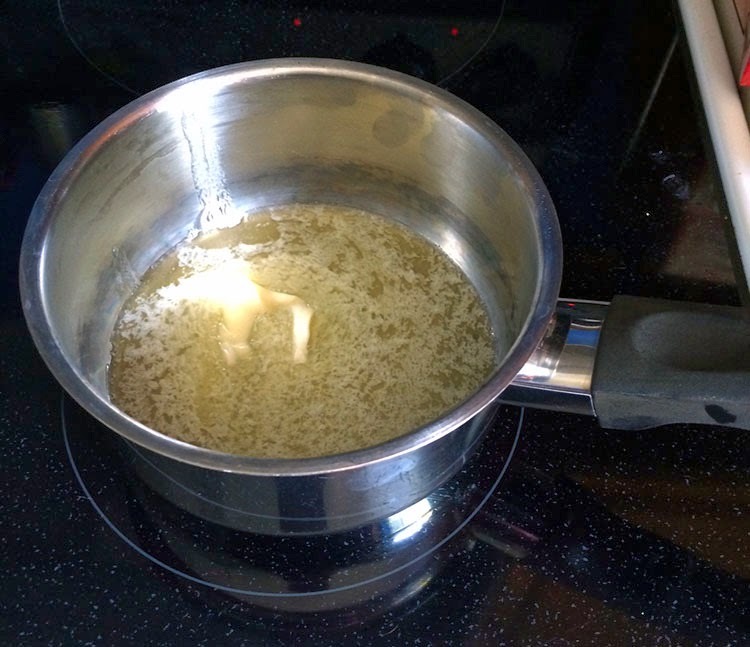 Oh well, I had to move on and melt butter the old-fashioned way (below). 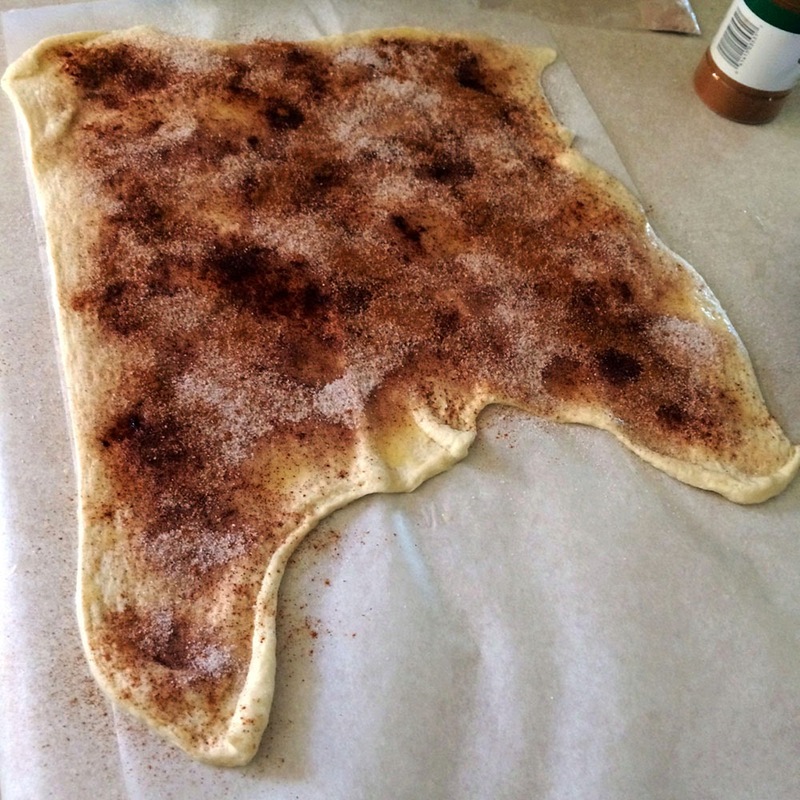 Using a pastry brush, paint the butter onto the dough before liberally sprinkling cinnamon and sugar on it. Use any remaining butter to coat your baking dish. I thought the dough looked somewhat Alabama-shaped, Pat disagreed. 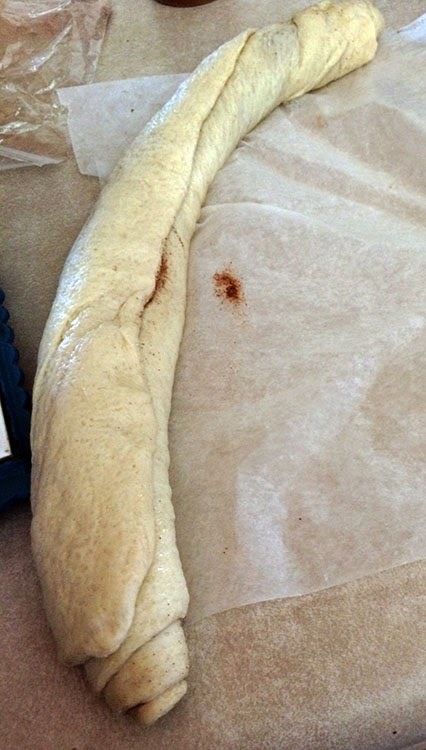 Roll your dough up into one long log (kinda how it came out of the package). Be careful not to handle it too much or it will start to stretch longer and longer. Press down on the edge a little to make sure it sticks. Use a knife (mine was serrated) to slice the log into smaller rolls. Mine were about 2 1/2 inches long. If you didn't have enough butter to coat your baking dish, coat it now with some non-stick spray. 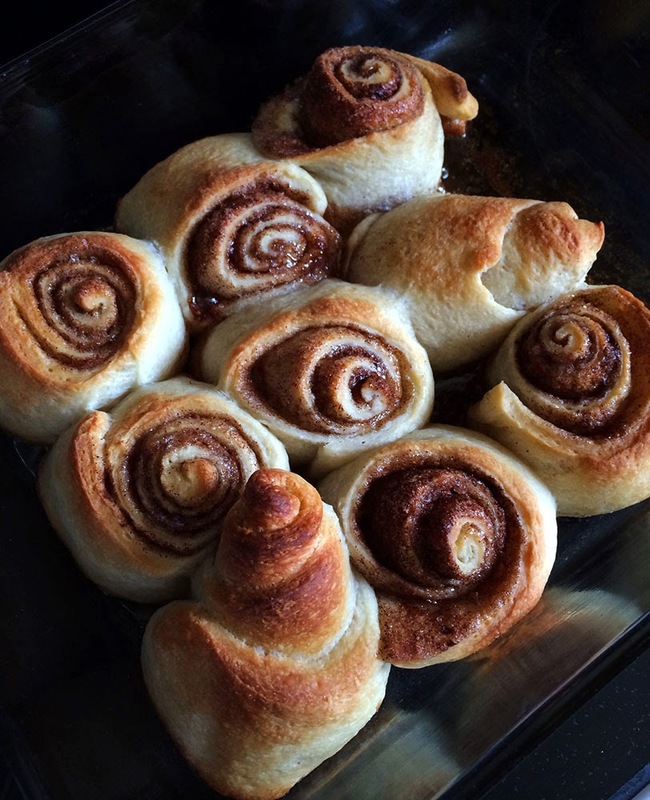 Then, place your rolls in the dish and pop them in a 400 degree oven. 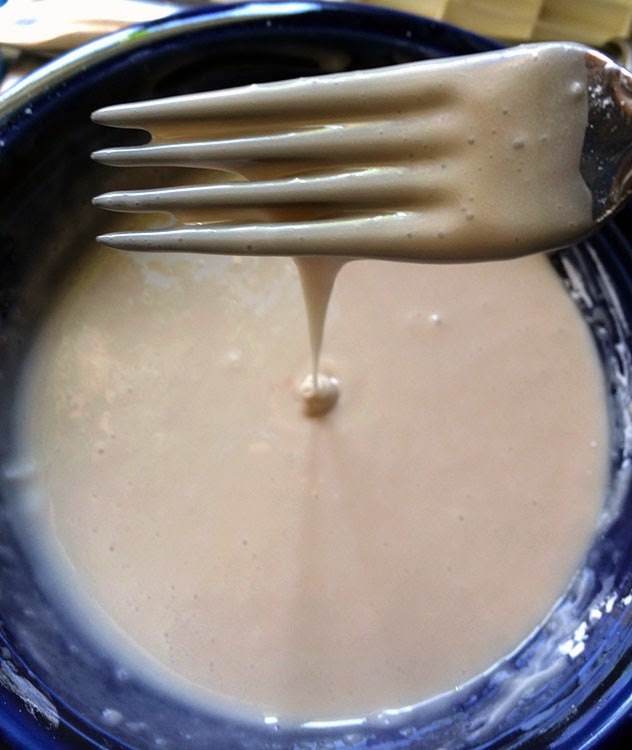 While they are cooking, pour your glaze ingredients into a bowl. 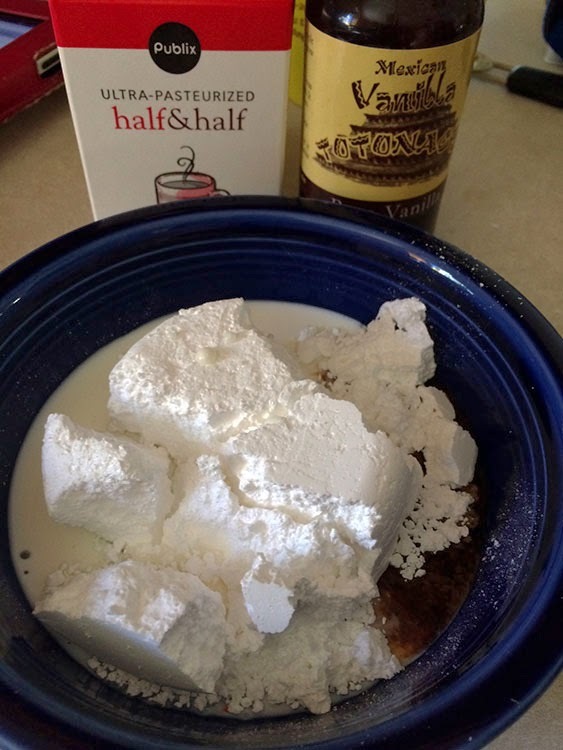 Mix them with a fork until smooth and creamy. 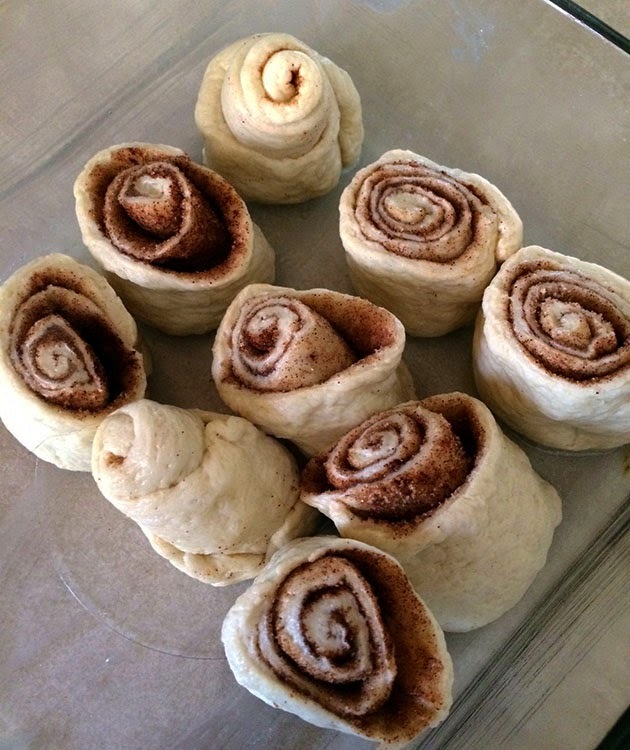 Once the roll have browned nicely (15-20 minutes), pull those babies out. 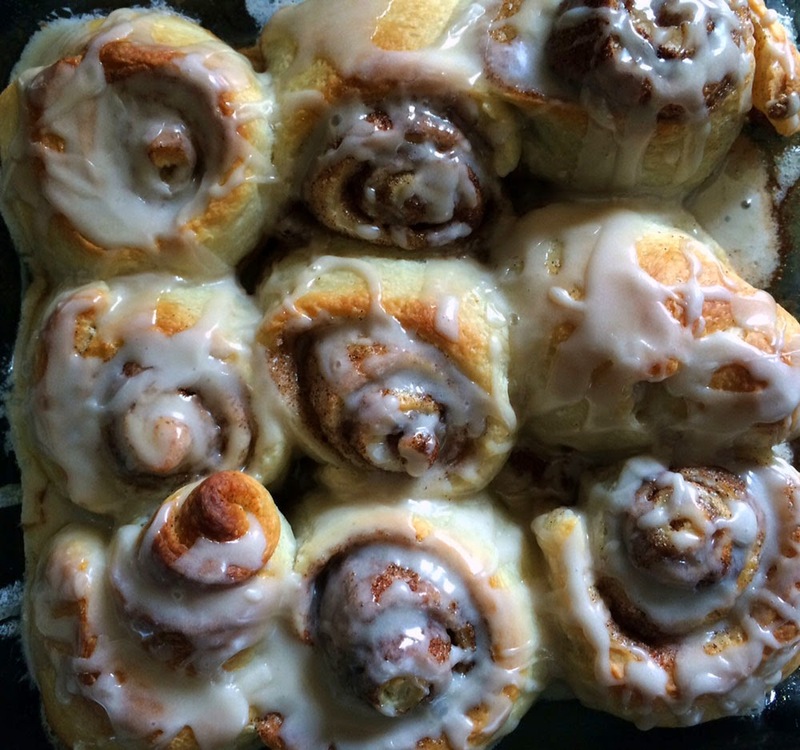 Drizzle your glaze over them. 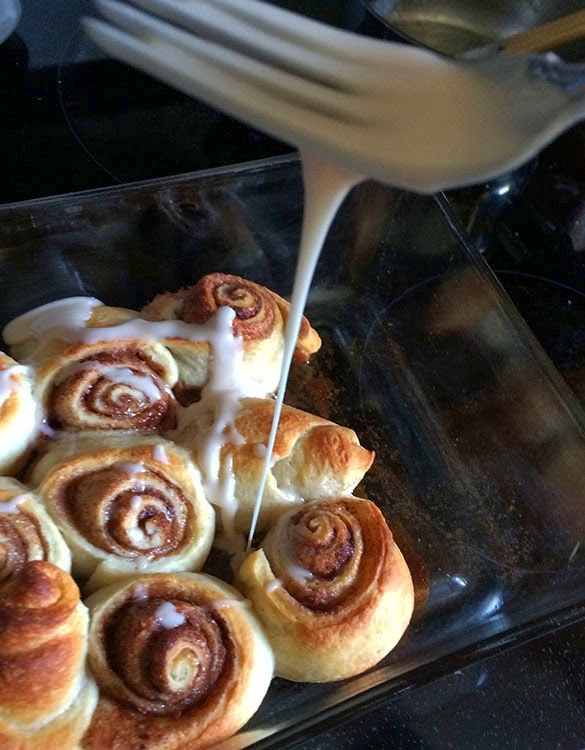 Obviously, I know you could just buy the Pillsbury cinnamon rolls too, but this was a great way for me to use that pizza dough. Looks like something Liberty would enjoy making. I totally saved this to my Pinterest. 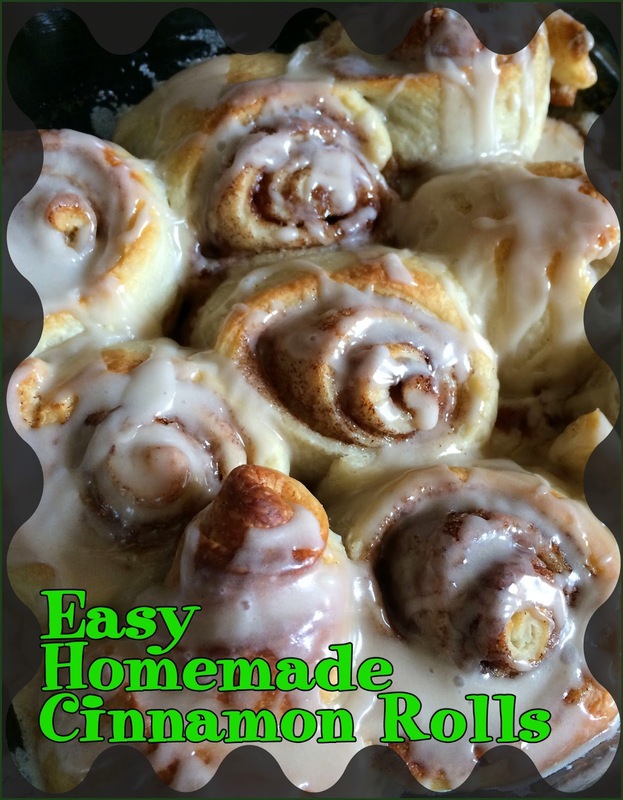 Hi Hope the rolls look totally yummy I am going to give this one a try. Oh and by the way I thought the dough looked like Alabama too! 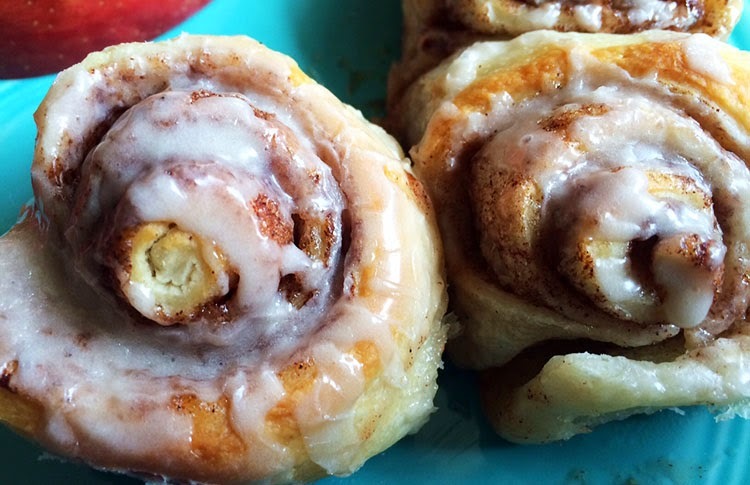 I have made all kinds of savory rolls with pizza dough but never thought of sweet! They look pretty amazing, thanks Hope! These look yummy, Hope. They especially look great to me since I have been dieting the last two weeks. I will remember the idea.